There are motorcycle trailers, and then there are Kendon Stand-Up™ Motorcycle Trailers. Kendon invented the original folding stand-up motorcycle trailer in 1991, and since that time they have been market innovators and leaders in the unique business of designing and building trailers to haul motorcycles and ATVs. What is unique about Kendon Trailers, is that they are designed to be folded and stored in an upright position in your garage or storage space. This is how the Kendon trailer looks when not in use, and tucked away in your garage. This trailer folds up in a standing position and out of the way freeing up precious floor space in your shop, garage, shed, or storage unit. Advanced Northwest Welding, Inc., is not only an authorized dealer for Kendon Industries, they are a Kendon Stocking Dealer, which means they maintain a stock of Kendon trailers and accessories in their store. Give us a call today to find the right Stand-Up™ Trailer and accessories for you. As the animated picture above shows, Kendon's single ride-up motorcycle trailers do not only carry your motorcycle safely, when you need to store your trailer, you simply fold it and wheel it back into your garage. You won't need a separate parking space or storage unit, thus saving you money. When in storage, the one-rail ride-on bike trailer takes up about the same space as a small bedroom dresser or a chest of drawers. That's pretty small! It folds up small, but the trailer is well built, strong, and fully capable of carrying a single motorcycle up to 1,000 lbs. Contact us to see what model of single motorcycle trailer will work best for you. Do you have more than one motorcycle that you need to tow? Then consider the Kendon Dual-Rail Ride-Up Folding Stand-Up™ Trailer. This Kendon Motorcycle Trailer is the flagship of the Kendon line. This trailer was designed by Kendon to perform and is built to last. When you need to tow one or two motorcycles, the Dual-Rail Ride-Up trailer provides ride-on loading capabilities (much better than pushing that beast up a ramp), and Kendon’s renowned towing performance. When you need to store the trailer, like all of Kendon's Stand-Up™ trailers, this trailer takes up about the same space as a standard bedroom dresser or chest of drawers. Contact us today to get more information about this trailer. With a large 6 ft x 9 ft flat deck area, the Kendon Folding Stand-Up™ Utility Trailer works as both a trailer for your ATVs and Side x Sides, and also serves as a general-purpose utility trailer. And amazingly, this large and beefy utility trailer, when not in use, folds up and stands-up out of the way with a footprint barely larger than a large bedroom dresser. Amazing. 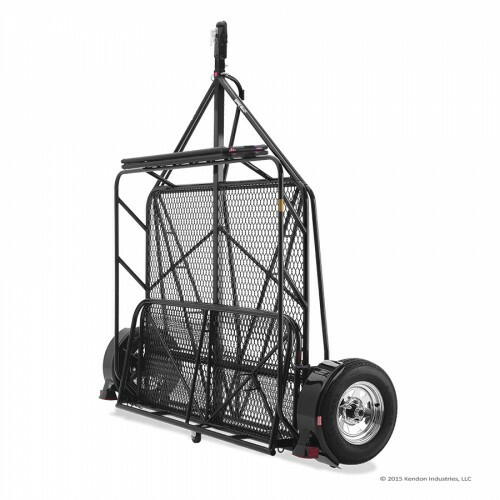 This utility trailer has a 2,000-lbs rated axle and heavy-duty expanded metal deck. 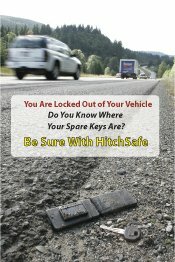 That means for you that you can carry ATVs, cargo, and other items for your trips. Click here to contact us about purchasing a functional and space saving Kendon Stand-Up Utility Trailer. Sometimes you need to get your motorcycle off the deck and in the air so you can more easily do repairs, make modifications, or customizing. You've probably wanted to get a motorcycle lift, but you just didn't have the room or floor space in your shop or garage. But with a storage footprint of only 17 inches X 28 inches, the Kendon Folding Stand-Up™ Motorcycle Lift takes up minimal space when not in use. These lifts range from capacities of 600 pounds to over 1,000 pounds. 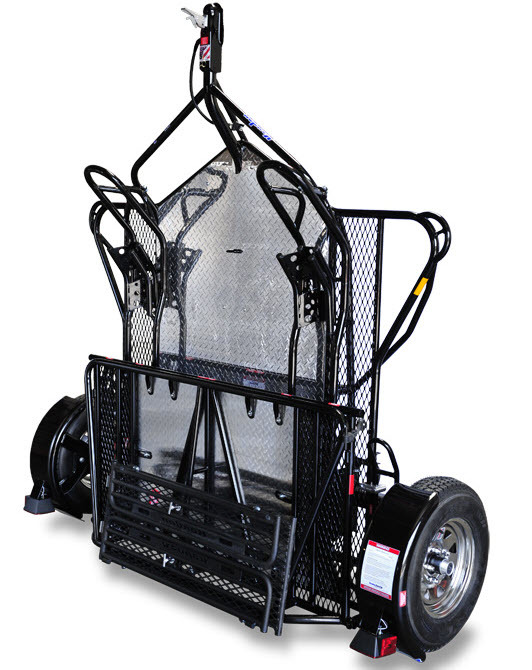 The smaller lifts are great for sport bikes, dirt bikes, adventure bikes, and the smaller street bikes. 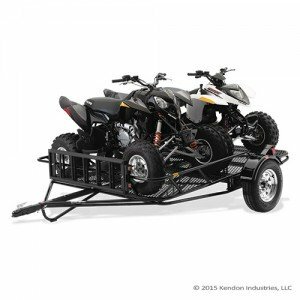 For the larger cruiser and chopper motorcycles Kendon recommends using lifts which have capacities of 1,000 pounds. 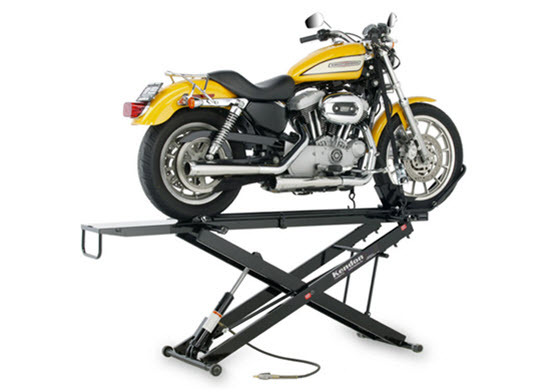 Give us a call today to find out which size and capacity motorcycle lift is the right one for you. Remember, we are an authorized stocking dealer for Kendon Stand-Up™ Motorcycle Trailers. Order it from us, and let us customize it for you. Proudly designed and built in the USA! Call today and order with confidence from a company you can trust - Advanced Northwest Welding.